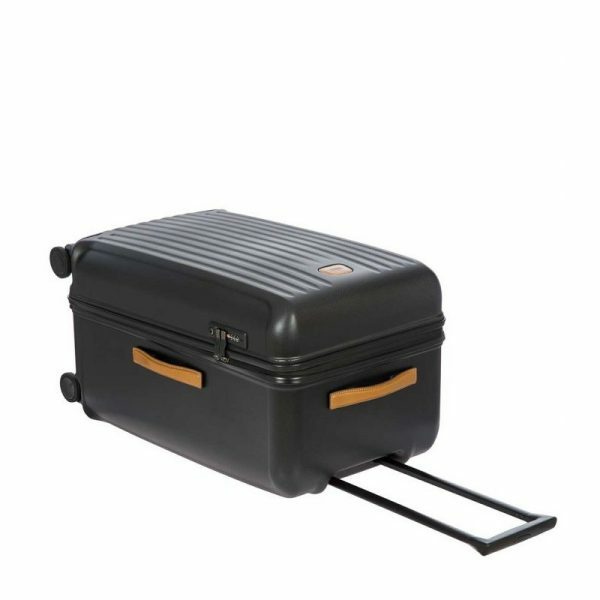 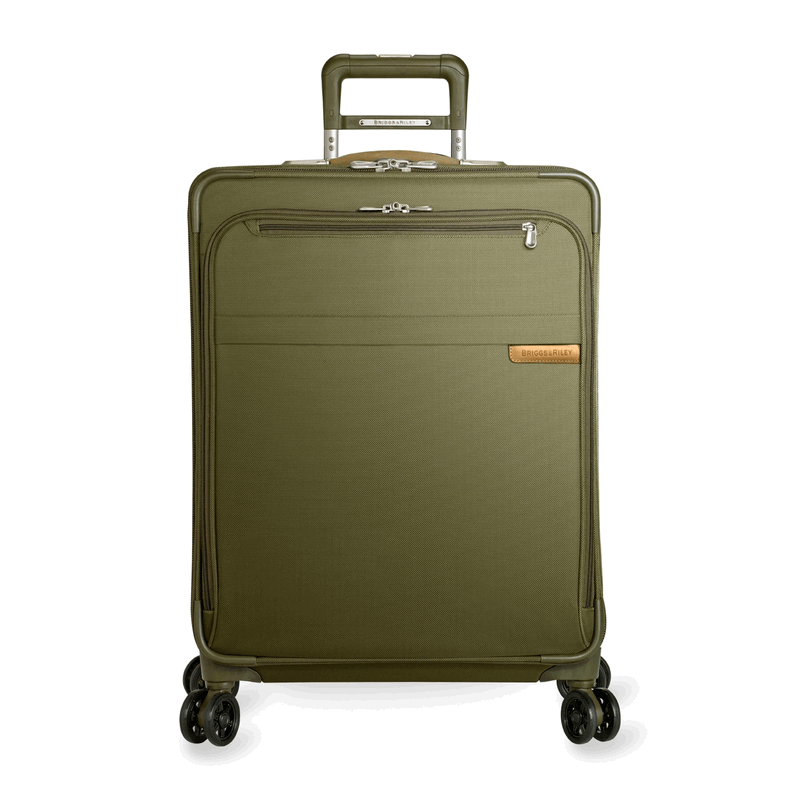 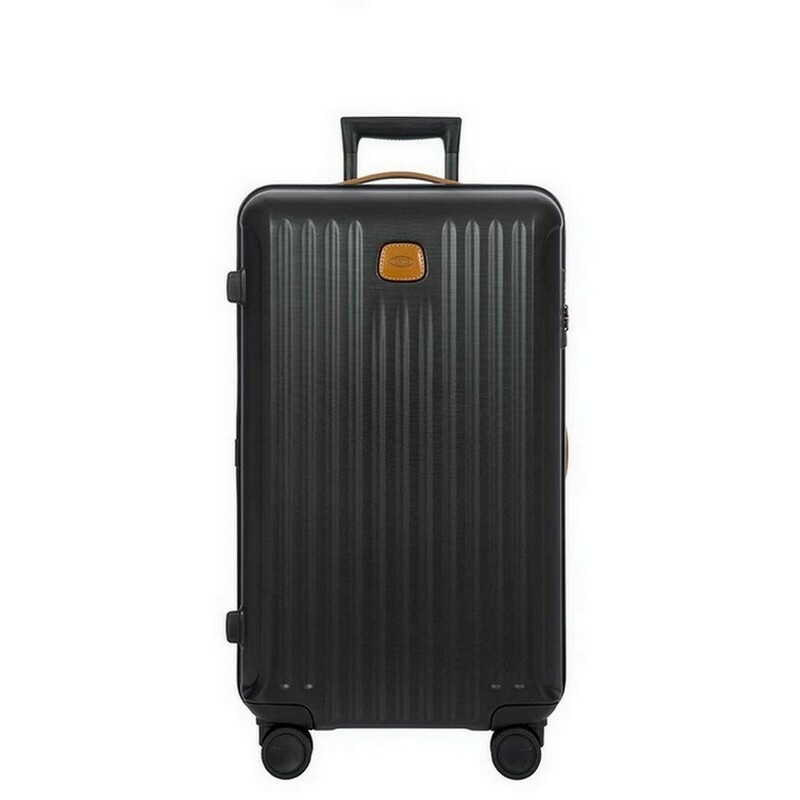 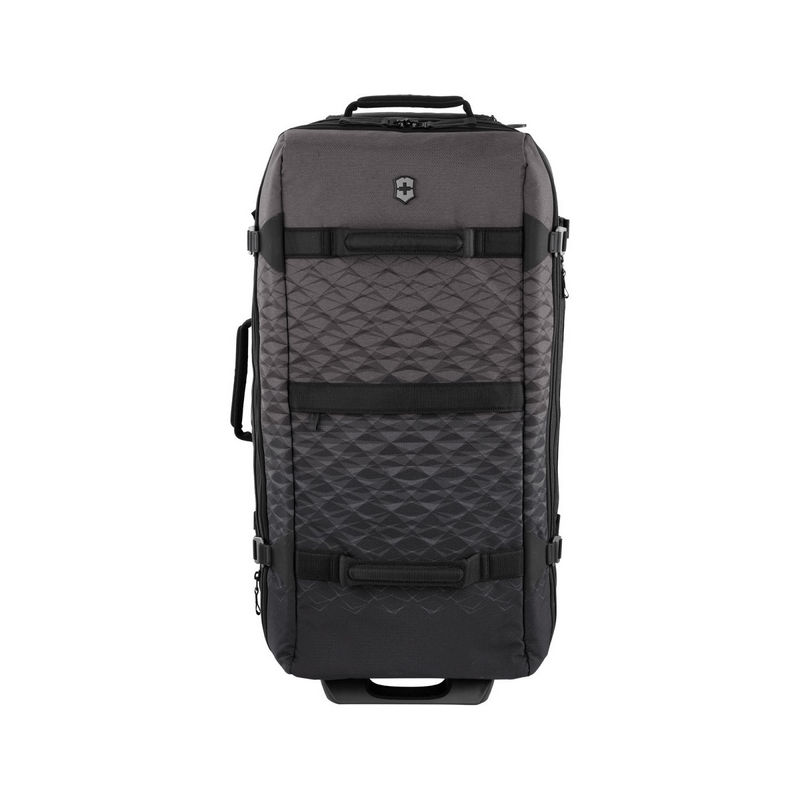 The 30″ Trunk spinner from BRIC’S CAPRI collection. 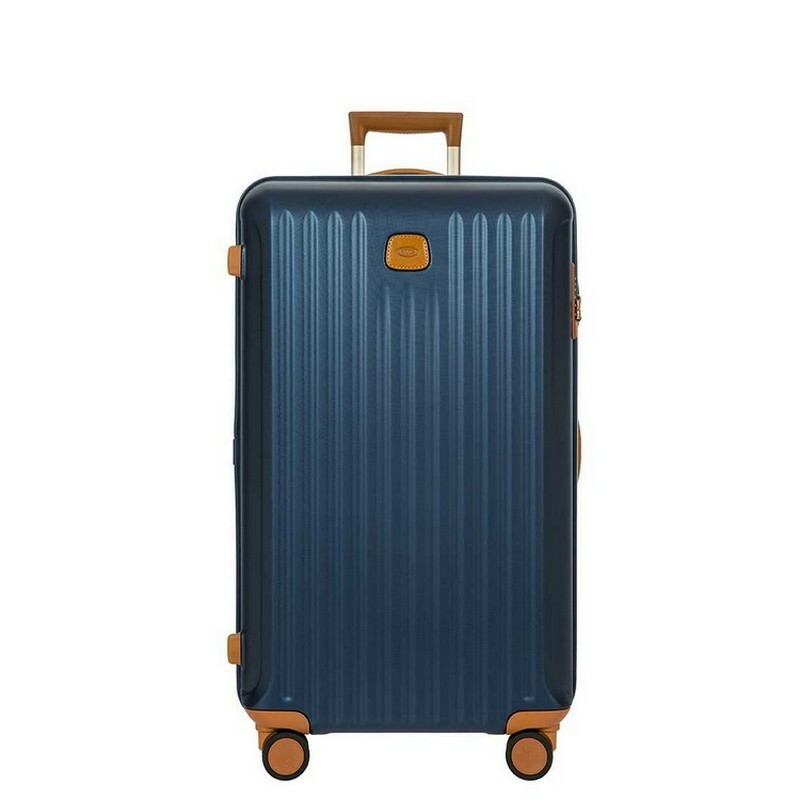 Made of Makrolon® polycarbonate, an innovative material that guarantees maximum resistance to shocks and scratches, as well as being extremely lightweight. 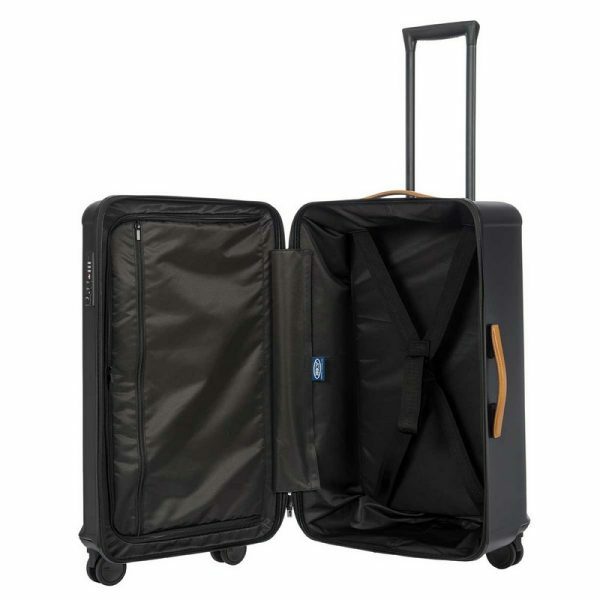 This sophisticated and functional 4 wheeled hard side duffel spinner is the perfect companion for every trip. 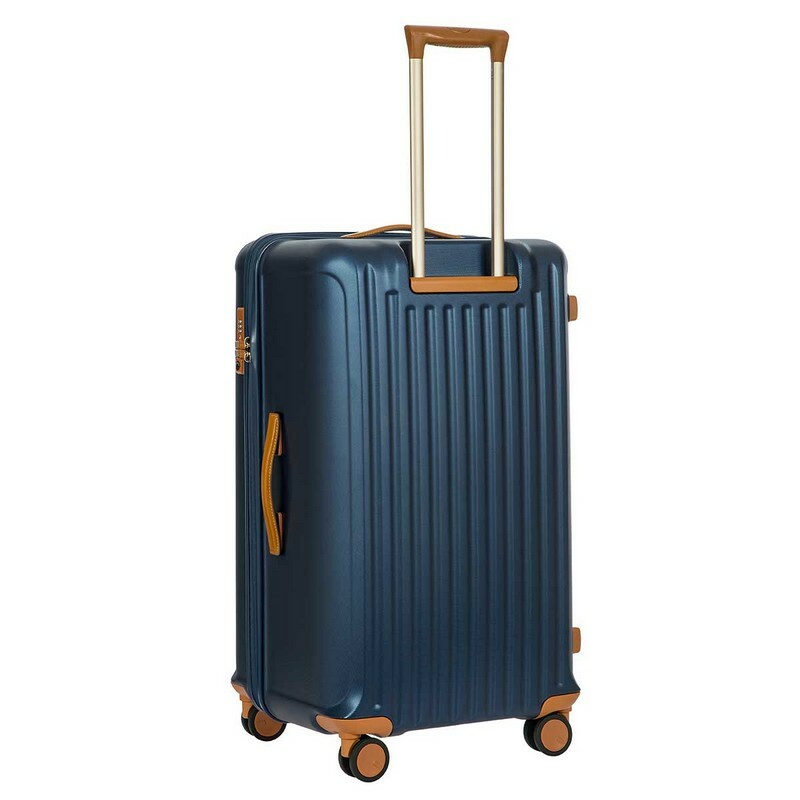 EXTERIOR: Makrolon® polycarbonate, a lightweight, flexible and ultra-resistant material; a top leather handle for ease maneuvering while carried by hand; the 4 high quality swiveling wheels guarantees a quiet movement in any direction. HANDLE: comfortable and functional pull-along handle with 3 intermediate stage positions selected via a press-stud button is now more ergonomic and easier to handle. 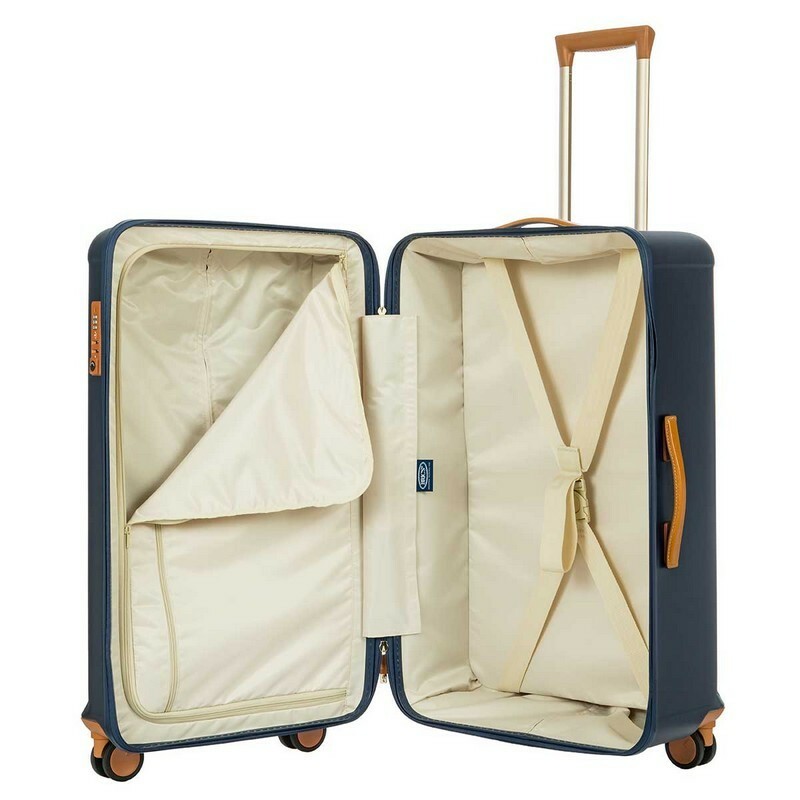 INTERIOR: lined interior divided into two compartments. 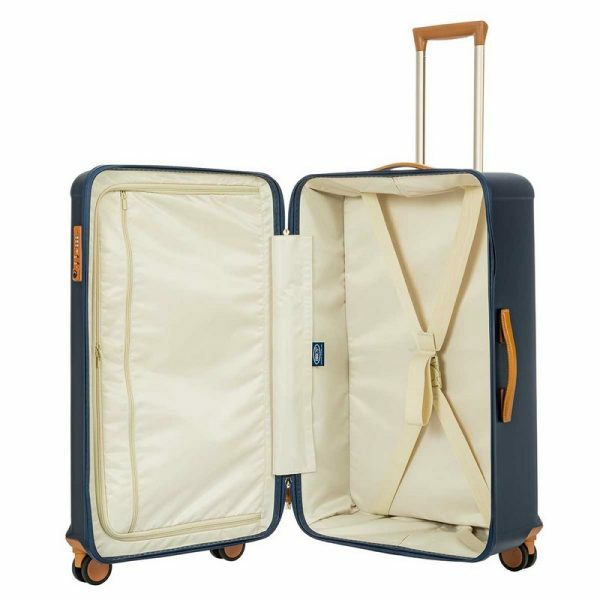 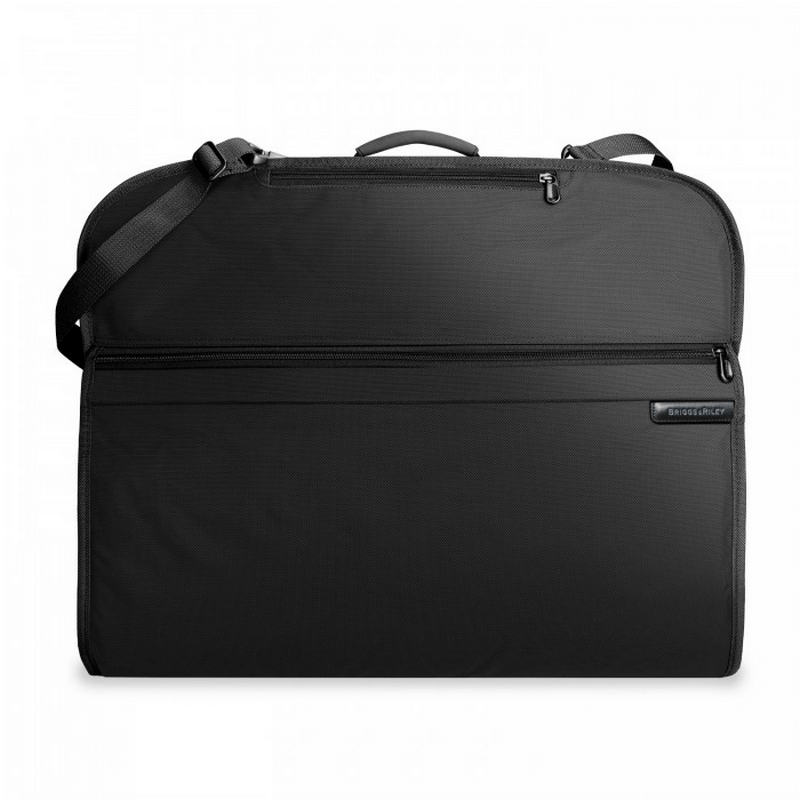 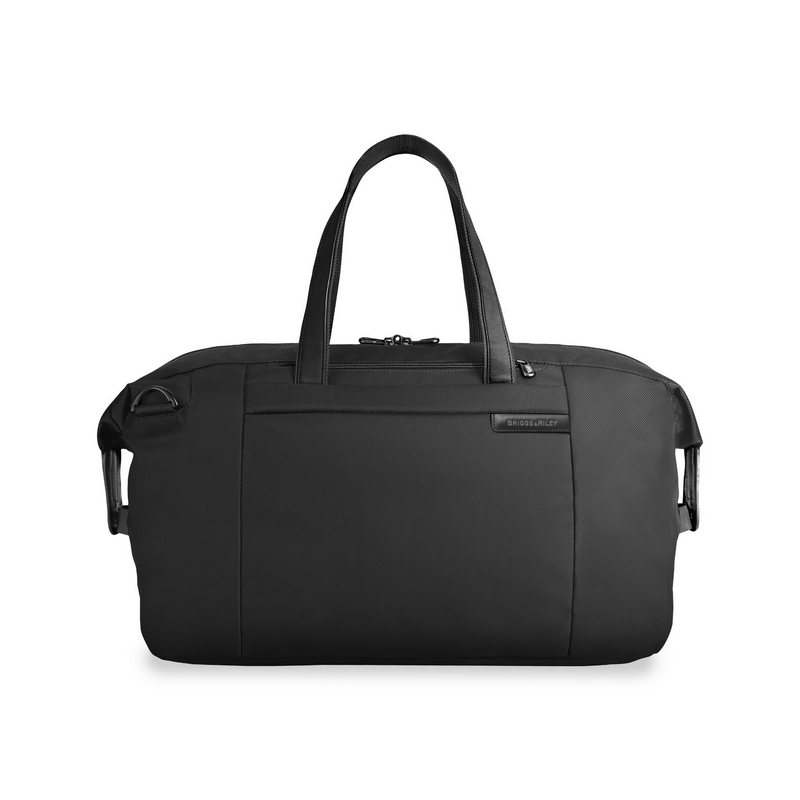 One closes with a zipper and has a pocket on one side plus a garment bag hook that can hold up to three hangers, the second is a larger compartment featuring a flat panel with a adjustable strap that allows you to keep all your clothes in place or to separate your dirty laundry from the cleaned clothes. LOCK: features an integrated TSA lock, which is required when travelling in the USA; it allows American airport security to inspect the luggage without damaging the bag using a universal key used by the TSA security only. 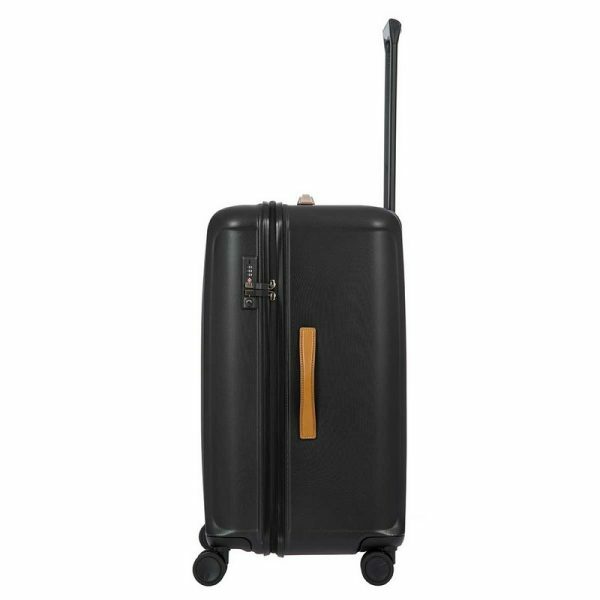 WHEELS: four double ball bearing Hinomoto swiveling wheels feature a new design and wider radius allowing an easy 360° rotation in all directions. The wheels have been designed to be replaced externally with a simple screwdriver.